Employee training ensures that each member of your business team is up to date on the latest business practices and technology. The keys to effective training include both clear instruction and individual practice, allowing employees to see for themselves how new programs and devices are implemented. At Texas Training and Conference Centers, our goal is to provide you with the perfect business training facility or convention venue for your needs. Our employee training facility in Houston includes virtual employee training solutions that allow every member of your team to take an active part in learning new concepts and new technology to help your business thrive. What Is a Next Generation Classroom? Virtual or next generation classrooms are learning environments that take advantage of today’s most advanced technologies to engage students and enhance learning. A next generation classroom includes all the audio and visual equipment needed for high-definition video conferencing and real-time collaboration, as well as computer terminals, wireless access, and cloud hosting to allow multiple students to utilize the same software or training exercises at once. When you rent a next generation classroom at a qualified employee training facility, you’ll instantly gain access to everything you need for your next training session, without worry associated with equipment rental, network setup, or potential interfacing problems. Today, virtual instructor-led training has revolutionized the way in which businesses train employees. Virtual training solutions allow employees to learn a new program, system, or protocol in a personalized and effective way by providing each individual with hands-on experience and real-time instruction. Virtual training gives you access to the instructors you need with greater flexibility and lower costs. Because instructors can lead classes and training sessions from anywhere in the world, virtual training reduces travel times, eliminates scheduling constraints, and minimizes training costs. Virtual training maximizes employee engagement by putting every employee in front of the technology he needs to actively participate in the lesson. By allowing employees to follow lessons and review instructions using the necessary software during the training session, virtual training better cements each lesson for immediate implementation in your business practices. 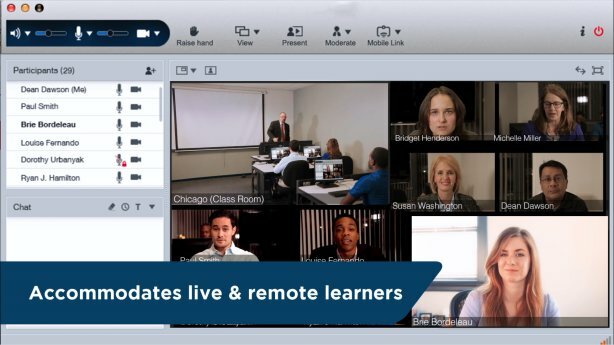 Virtual classrooms can accommodate both onsite and remote learners during a single session. By allowing individuals to attend training sessions remotely, virtual training increases the reach of your training program and minimizes repeated sessions or uninformed employees. Texas Training and Conference Centers is pleased to offer the state-of-the-art business training facility you need to quickly and effectively train employees in Houston. You can get more information about our business training center and virtual training facility by calling (281) 589-1400.